The MCX-500 is an affordable, uniquely user-friendly and flexible 4ch compact switcher that makes it simple for a single operator or small team to produce a broadcast quality live event on a tight budget. Multiple video inputs include professional 3G-SDI, HDMI, and Composite Video plus a dedicated graphics input, allowing the operator to mix and match sources as required depending on the production requirements. 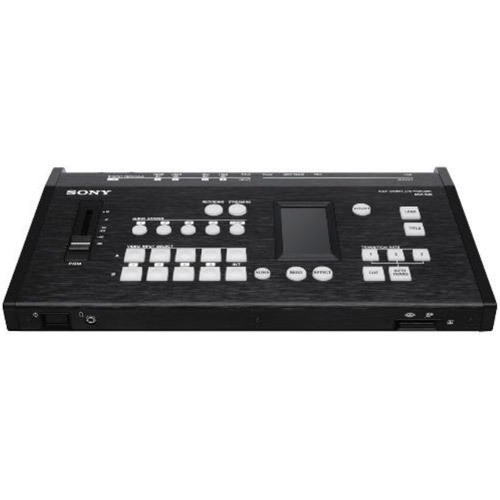 This compact switcher also includes other value-added features such as internal program recording, effects capabilities and a live streaming output. 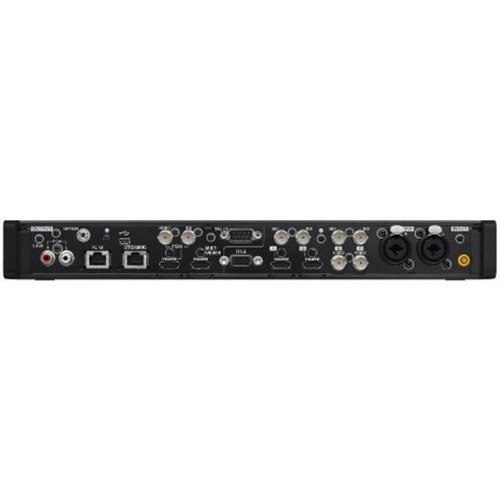 The MCX-500 also includes a built-in Audio Mixer and a Multiview output for monitoring Program and Preview as well as camera sources on a single external monitor. The MCX-500 is expected to be available January 2017, with additional details forthcoming prior to the official product launch. Everything you need in a compact switcher to accommodate small to medium-sized production Measuring roughly the size of a laptop PC, the MCX-500 provides a 4ch video switcher with an enhanced feature set at an affordable price - Targeted at HoW, Education, Corporate and Wedding Markets. The MCX-500 includes various traditional transition effects, such as Mix, Wipe and Cut, plus an additional layer for Keying and ChromaKey. Up to four layers of video or graphics can be mixed, enabling you to create a Picture-inpicture effect along with a graphic overlay and logo* key at the same time. A Touch LCD Screen with easily recognizable ICON buttons, features configurable controls to greatly simplify operation. Included in the MCX-500 is a built-in audio mixer, recorder, streaming recorder and live streaming encoder. This removes the requirement for separate devices and simplifies set-up, while offering significant cost savings. The MCX-500 panel is equipped with a configurable LCD Touchscreen and simplified USER interface. Trigger sophisticated predefined effects with a single touch on a userdefined ICON. The panel’s button layout is ergonomically designed enabling an operator to easily select sources - minimizing errors on air. An internal memory card slot provides the ability to record your production to an SD card, eliminating the need for an external recorder. As soon as the live event is over, you can provide the customer with a high quality AVCHD copy to archive, re-broadcast or even repackage using virtually any popular non-linear editing software. With the MCX-500, there’s no need for a separate Mixer for smaller productions. A built-in Audio Mixer provides essential mixing functions from the embedded camera inputs, while XLR/TRS (L/R) Line Level Inputs allow for the connection of an External Mixer for larger productions. The MCX-500 can be controlled from external devices* such as a PC, Mac or Tablet - allowing for greater flexibility, especially when adding a Wi-Fi router for wireless control. The MCX-500 also supports live streaming. 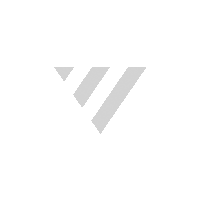 Live stream your event in real time using a streaming service such as Ustream®. Share scenes as they happen with high quality picture and sound, direct from the MCX-500 to a router via Ethernet – no PC required. The MCX-500 was built from the ground up with affordable integration in mind. Connect the MCX-500 with the RM-30BP LANC remote controller and newly introduced HXR-NX5R using inexpensive LANC cables, to create a multi-camera connection with Tally indication and synchronized rec trigger.